Maryland’s prized commodity is making a comeback. The Chesapeake Bay blue crab population has increased 60 percent over the past year. It’s now at its highest level since 1997, according to the Maryland Department of Natural Resources. Maryland Gov. Martin O’Malley shared that tasty tidbit during a news conference Wednesday at a Grasonville restaurant. New restrictions, designed to cut harvests by a third, are being credited with helping the crabs flourish. The harvest season was shortened over the past two years, and hibernating pregnant females have been off limits. The result? A baby boom. A dredging survey by the Chesapeake Bay Program shows the number of juvenile crabs has almost doubled. 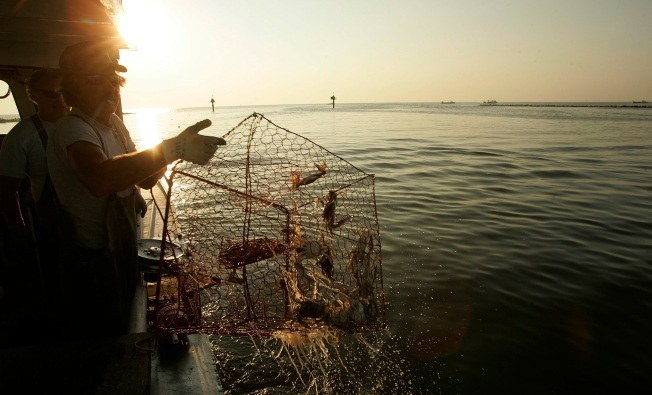 The health of the Chesapeake Bay itself has also improved. O’Malley promised to continue taking steps to shore up and protect both the crab stock and the local commercial fishing industry.